From the TJ Newsletter this month comes Circle Strips. I needed a Quick (No Brainier) card for a neighbor and this fit’s the bill. 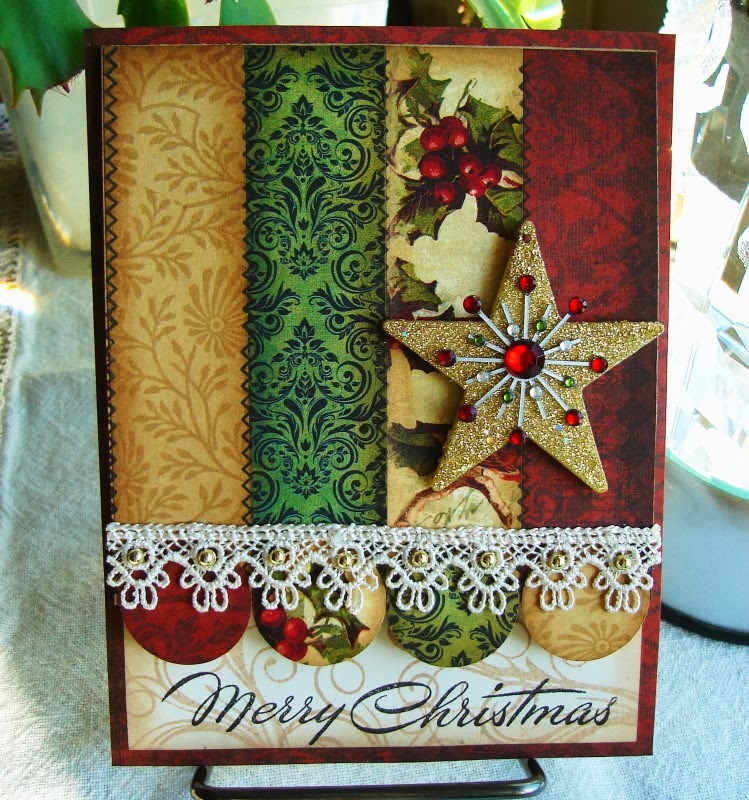 I used left over scraps, stamps are from Stampendous. My card opens from the bottom to the top. I’m sure Pat’s card was from side to side. Vada, your no brainer is gorgeous! 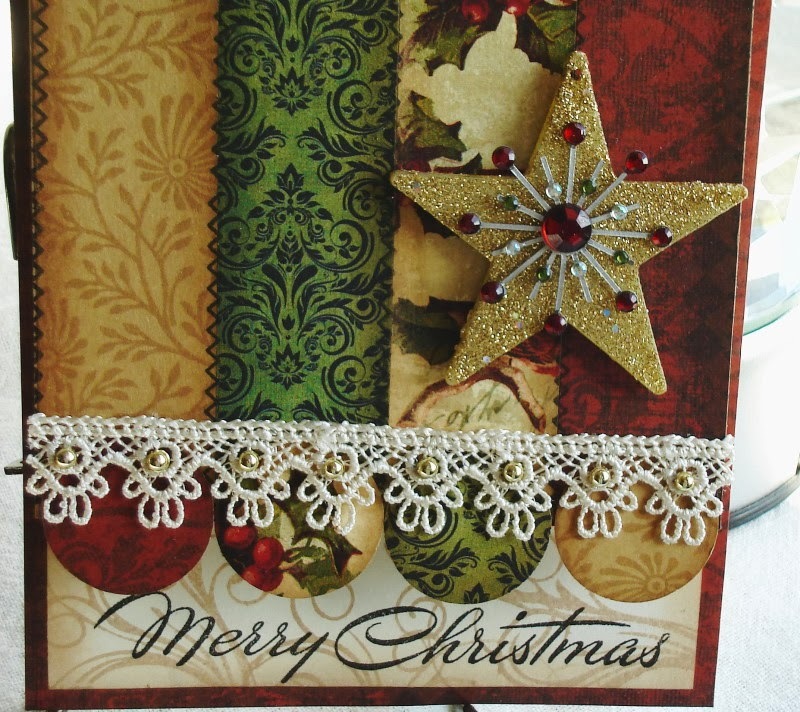 Love how you combined the pretty patterned strips and circle and finished it off with the lace and star! Happy Weekend and stay warm! Hugs! This is such a rich palette, and makes for a beautiful card. 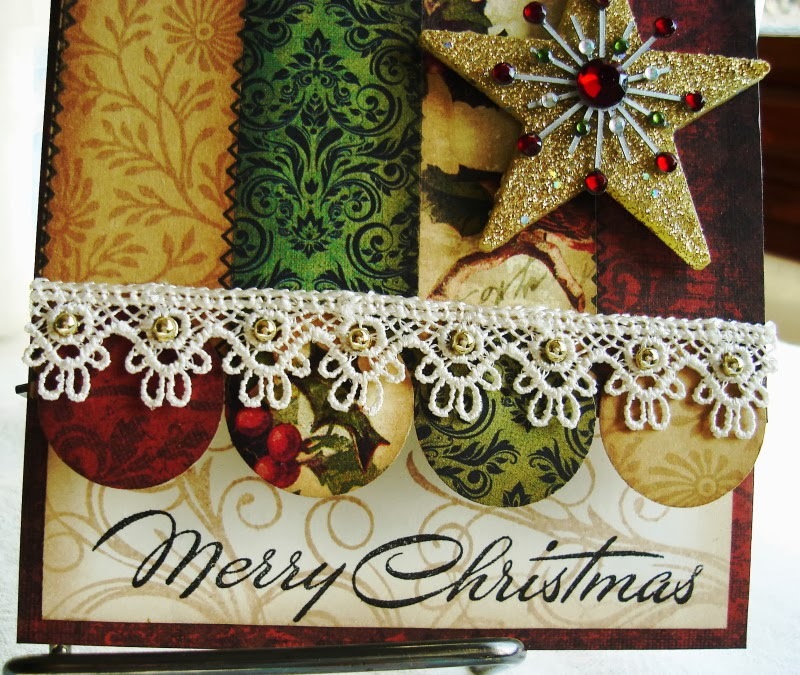 So, I'm scanning down the blogs I follow and saw your card, and all I could think was "How beautiful"
You call this no brainer I call this extremely elegant, so time-less and so gorgeous. Hi vada your card is lovely!! I love the papers and the star looks lovely !